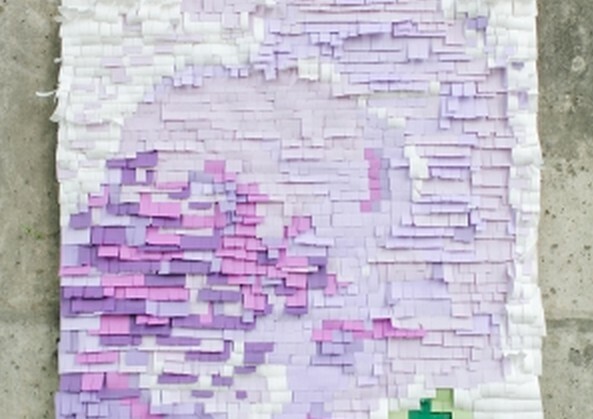 Create a pixel backdrop using different shades of colored paper and a sheet of plywood! Follow the tutorial on the source to create this idea. See a tutorial for this idea using Post-Its. See a pixel-themed wedding with a pixel heart buffet backdrop.